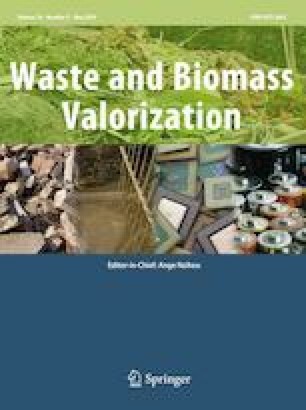 This work presents the design of a bioprocess as an integral solution for adding value to whey by converting it into high value-added products for environmental/agronomical purposes as biostimulants for both soils and plants . The core of the bioprocess is a fermentation by Lactobacillus rhamnosus, a bacterial species within the group of plant growth promoting bacteria (PGPB), followed by a physicochemical separation of the valuable products obtained. The soil biostimulant products obtained are lactic acid, peptides and free amino acids and the biomass of Lactobacillus rhamnosus. All of these products were purified and the residual fraction, mainly comprising inorganic elements with high sodium content, was removed in order to avoid soil fertility problems. These products were evaluated on their soil biostimulant and biocontrol capacity, thus protein hydrolysates and lactic acid induced microbial activity, lactic acid also showed an effect modifying microbial biodiversity, favouring bacterial genera recognized as growth plants promoter, and L. rhamonsus presented biocontrol activity against some phytopathogenic microorganisms. These results give rise to the formulation of products for environmental/agronomic application. This work was supported by the Ministry of Science and Innovation (Spain), Plan Estatal 2013–2016 Retos—Proyectos I + D + i CTM2015-64354-C3-1-R.